Tomorrow is Thanksgiving – a time to give thanks to those that have blessed you over the course of the past year. I give thanks first and foremost to my family – my wife, who doesn’t get my running at all, but knows that it is important to me, and therefore not only puts up with it, but even takes the time to read this blog on a regular basis (talk about love); my girls, who cheer me on unconditionally, even if they don’t quite get my passion either. I give thanks to my running friends – Mike, who has always been somewhat of a running GUIDE to me; to Pete, who was the first runner in the Twitterverse to reach out to me and introduce me to a WORLD of RUNNERS; to Brendan, whose bright spirit and kind words always encouraged. I give thanks to Doug and Adam, who showed me what DETERMINATION looked like; to Alain, who showed me what TEAM looked like; to Steve and Caleb, who showed me what ASPIRATION looked liked; to TK and Michelle, who showed me what FRIENDSHIP looked like; to Lam and Kirsten, who showed me what HEART looked like; to Mary, who showed what GRACE looked like; to Chris and Chaz, who showed me what WISDOM looked like; to David, who showed me what friendly COMPETITION looked like; to Sarah and Brian, who showed what INSPIRATION looked like; to Sheila, who show me what MOTIVATION looked like; to Alett, who showed me what CAMARADERIE looked like; to Jennifer and Erin who showed me what STRENGTH looked like; to Josh, who showed me what KARMA looked like; to Paula, Judith, Jenn, and Alysia, who showed me what COMMUNITY looked like; to Rhonda, Sandra, and Gaby, who showed me what SHARING looked like; to Linda, Barb, Rachel, Sandra, Eva, Teresa, Bekah, Lauren, Melissa, Ryan and Magda who showed me what SUPPORT looked like. The list could go on and on. I know I’ve forgotten many, but please know that if we have crossed paths through running, I am thankful for it. I give thanks to Vibram and Saucony, who protected my feet and carried me this past year to 7 minute improvements in both the 10K and Half-Marathon distances, a 35 minute improvement at the marathon distance and a BQ. I finally give thanks to RUNNING, which has been my outlet and therapy. Would I be alive without running. Sure. Would I be happy without running. Undoubtedly, I’m a generally happy guy. But I do know that I would be neither AS happy nor nearly as healthy. Because of running, I am in better shape than I was 20 years ago, physically AND mentally. I am lighter, I am stronger, I am faster – I am better. Without running, I would not have met most of you! I am thankful that running has introduced me to a group of people that I firmly believe are the nicest, friendliest, least judgmental group of human beings in the world. Tall or short; big or small; fast or slow; it doesn’t seem to matter to runners – as long as you run, you are one of us – and for that, I am thankful. 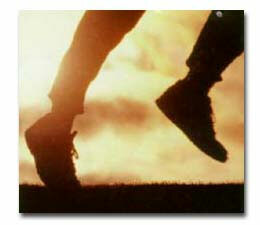 If you are traveling this weekend, be safe and don’t forget your running shoes! Have you entered the dailymile Feed the Turkey Virtual 5K? Thank you Luau! It has been great to get to meet you and be there for some of your important milestones. Thanks for being a continued source of inspiration and motivation. Our running community really is remarkable, and something I am grateful for every single day! Right backatcha Luau, especially on those days when I don’t want to lift and train, I too think of you running the NYING in such pain, with determination like I have never seen before. Rule of thumb – grab a box of tissues before reading blog posts by Luau & Jess . :) Thank you Luau – what a blessing to be a part of this amazing community. Beautiful post – beautiful you — wishing you and yours a bounty of blessings for the best Thanksgiving ever! God bless and thank you for sharing the gift of you. Tears!!! Matt, you have to know what an awesome man you are. YOU ARE!! I really am so thankful that I not only connected with you on Dailymile, but in real life. How awesome is that!!! NYCM weekend was amazing and so cool that we got to spend time together. I will always keep that in my heart. Happy Thanksgiving to you and your wonderful family!!! Once again I am touched and moved by your blog posting. You are an amazing person, and someone I am proud to call “friend.” I am SO glad to have gotten to know you and to have shared (in person and on-line) in some of your milestones in this, a banner year, for both of us! I thank YOU for helping me to BELIEVE again. You’ve helped me believe in the strength of the human spirit, the importance of character, and the power of perseverance in the face of adversity. May this next year bring even more to be thankful for and a deepening of the bonds of friendship for all of us! Great post Matt. I can’t begin to tell you how thankful I am for this community. The support and inspiration I have found here came as a total surprise to me and now, a year later, I can’t remember how I ever got out and ran without it. What a beautilful post!! I will forever be greatful for what running has given me, largely because of the amazing community of runners I have been able to meet through blogs, twitter, and Daily Mile. It’s an honor to be able to call you a friend, Matt, and I hope that one day we’ll get the chance to meet. Thank you for all you have done for me and this community. This is a wonderful post, Matt! Not a day goes by without getting some inspiration from the fabulous folks at DailyMile! It’s community, accountability, friendship, and encouragement all rolled up into one package! I hope you and your family have a wonderful Thanksgiving filled with food, fun and friends. Oh…running too! Be well! Loved your post. I am very thankful to have met you & to have run NYCM with the Team Autism Speaks. It is an amazing journey that we are on and it’s wonderful to meet such encouraging parents/runners! Looking forward to the great blogs in 2011 and great races 🙂 Happy Thanksgiving to you and your family! Great job, Matt! It’s been a wonderful year, and we do indeed have much to be thankful for. It’s been a pleasure getting to know you on Twitter and following your exploits and insights here on your blog. I look forward to meeting you in person in Boston. We WILL make that happen! Thank YOU for reminding us all of how lucky we are to have running in our lives. Happy Thanksgiving, Luau. You are a fantastic person, Luau. Glad I had a chance to meet you in Boston as well as support and champion each other in 2010. Happy Thanksgiving to you and your family; continued success and inspiration in reaching your goals and dreams. Happy Thanksgiving! Thank you for being a great running buddy, even if we don’t get to run together that often. It’s really funny for me to think of the two of us from our pre-running lives compared to now. Craziness. Here’s to many more miles down the road!